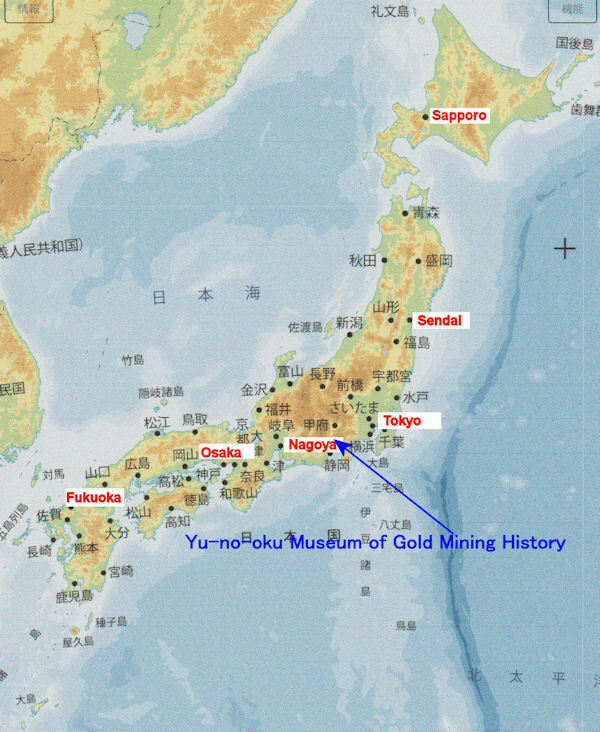 Yu-no-oku Museum is in the “Shimobe Hot Spring” town. This hot spring is said to be a secret place of the famous military commander “Shingen Takeda” in the 1500's. In the nearby mountain there is gold mine developed by him and trace of mining is seen. There are various kinds of exhibits at the museum and you can enjoy gold panning in the pool. The “Gold Mine Museum Goldpanning Championship” is held once a year for two days. This championship is the largest number of participants in Japan. The first day is an ordinary person, on the second day school competition which is a rare program in the world. Also, lovers of gold digging gather at this place on holidays.